Well, the weather has gone a bit cold hasn’t it here in England? Even tucked away in usually tropical London I’ve been feeling the cold for a couple of weeks and it doesn’t look like any warm weather is on its way any time soon. With that in mind, for the last two months at least, my work attire has consisted mainly of jeans, tee and thick jumper to try and ward off colds, bugs and general illness (and failing). However, there has been one of my jumpers that has kept me snug as a bug and really warm despite the almost bi-polar air conditioning in my new office (it blows freeing cold or at levels akin to an overheating sauna). 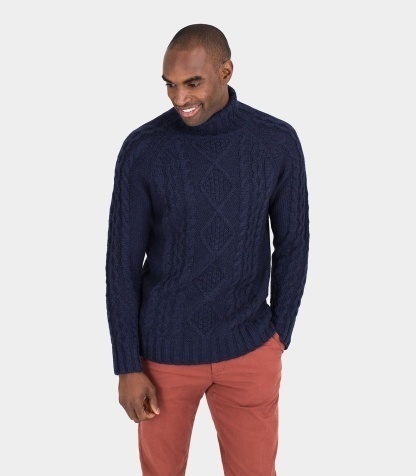 Step forward my Fair isle Polo Neck jumper from Woolovers, an online purveyor of all things knitwear in cashmere, cotton and wool. As far as jumpers go, the Woolovers site has pretty much everything that you could imagine for both men and women and at prices that I consider to be very reasonable. While you can pick up a cheap jumper for £20-£30 that lasts for a few months before being washed out of shape or becoming a touch bitty, splashing just that little more and you get great quality clothing. My jumper came in at just £45 and I have been delighted with the quality, the comfort and the fact that the pure lambs wool doesn’t itch or make me scratch away (a problem I have at times with 100% wool). 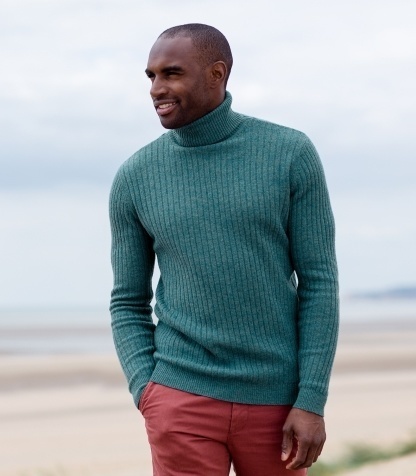 'Started in 1989 from small beginnings, Wool Overs is now a world class knitwear retailer, supplying nearly 750,000 customers with men's and ladies classic and contemporary knitwear. We now have websites for the UK, Canada, USA, Australia, New Zealand and two fully-translated versions for France and Russia - all helping to ensure we can spread our love of knitwear the world over! 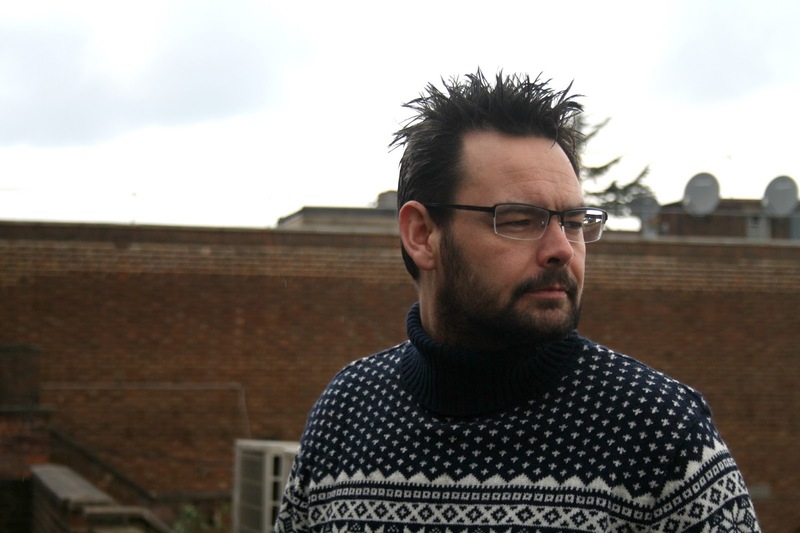 And this is what the jumper I selected looks like on….. Looking for good quality clothing that is well made and won’t break the bank then you can do a lot worse than checking out Woolovers. You won’t be disappointed with your purchase. I get what you mean about air conditioned offices - I'm always in a jumper at work and these look like great options for guys! I love that jumper! I have a lovely cape from there. I just need spring to stop around so I can get some use out of it! I remember the Sultans of Ping & I think Ed Sheeran did a song Jumpers for Goalposts, may have been a cover of someone else. There's no pulling the wool over your eyes, you certainly seem to like jumpers. I love the jumper you are modelling. I don't mind paying a bit more for a decent quality jumper that is going to last a while. I love the selection too. I wouldn't have put London down as being tropical :-D But the jumper certainly looks amazing. I think with jumpers you need to pay a bit more otherwise they start to bobble quickly and it's a false economy. I always keep a cardi on the back of my chair at work! Prefer to buy better quality wools so they last. You certainly love woolly jumpers! My husband would never wear something like this!